Ruby on Rails is a extremely powerful web framework with a long history, which can simplify our development process, make it more enjoyable. As it known to all, many well-known sites are built on this framework, such as GitHub, Unsplash, Airbnb, Dribbble and Product Hunt1. For most developers without so much experience about Rails, setting up a development environment for this stack is not a easy task. 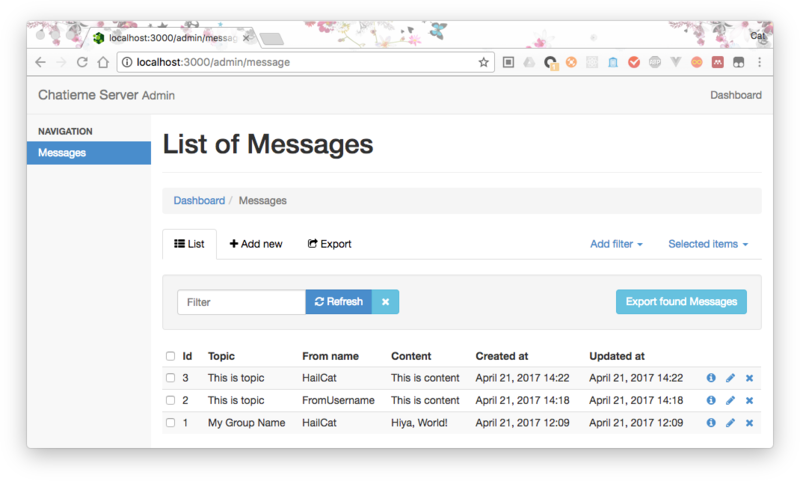 This blog would introduce how to interact WeChaty with Rails with an example of a group message logger, trying to Keep it simple, stupid (the KISS principle). ➜ /usr/bin/ruby -e "$(curl -fsSL https://raw.githubusercontent.com/Homebrew/install/master/install)"
However, it doesn’t matter if you use MySQL or even SQLite. This tutorial offers this flexibility to use any database supported by ActiveRecord (the ORM framework of Rails). Ruby is a ‘natural’ programming. You can easily understand these codes with a little bit experience of other programming language. Note: I would not explain detailed Rails app development because it is off the main topic. Restart Wechaty node bot.js. Wechaty can post any group messages to Rails. A simple logger has been finished. Bundle complete! 17 Gemfile dependencies, 79 gems now installed. Run rails g rails_admin:install. Then run rails server to start Rails development server. This blog should be a very specific tutorial for developers who want to build a message logger for WeChat. Rails is a fullstack web framework so that it can be very complex. 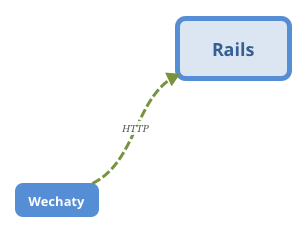 Explaining the comcepts of Rails is not the main purpose of this blog. However, if you would like to build a powerful logger, it is worthy doing that. Powered by Rails, you can build the system with less time consumption and more joy. Thanks for your reading. Feel free to drop any questions.